Senator Kirsten Gillibrand of New York and Representative Rosa DeLauro of Connecticut will be introducing legislation that would offer American workers paid leave to care for a new child. Currently, the Family Medical Leave Act entitles qualified employees to twelve weeks of unpaid, job-protected leave. 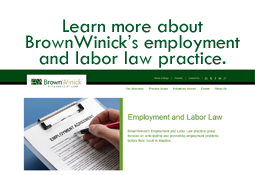 FMLA leave, however, is generally available only to workers who have been employed for at least 12 months by a company that has 50 or more employees. That means about 40-50% of US workers don’t qualify. The U.S. remains the only industrialized country that has no paid maternity leave program. In fact, the U.S. is one of only a handful of countries in the world not to offer paid leave (among Papua New Guinea, Liberia, and Suriname). Most of Europe and Central Asia offer paid maternity leave; 31 countries provide a year or more of paid leave. California and New Jersey have implemented statewide programs establishing paid family leave benefits. A few other states have some level of income replacement available for new mothers. Under Iowa law, most employees have up to eight weeks of leave for pregnancy-related disabilities. While the Iowa law covers more employers, the required leave is also unpaid.